After many weeks of planning, meeting with mentors, doing some test runs, and getting to know more and more about the MKSP (Mahila Kisan Sashaktikaran Pariyojana/ Woman Farmer Empowerment Program), I finally feel at the point where I am just working on my project as much as I can. Once again, I am writing up case studies of woman farmers who have adopted all of the sustainable/organic agricultural practices which the program encompasses. This includes making their own worm compost, liquid manure (which works as a natural pesticide and has around 12 different types of leaves), using specific systems of rice and wheat intensification which use optimal distances at which to plant each seed and rows, and also other types of organic fertilizers, pesticides, and integrated pest management techniques. First, I have enjoyed so much being able to go into the field. It has been great to be able to talk with the women, and to hear about how they got involved with the program, and see all of the projects I had been reading about for some time. I feel like some days, they ask me more questions about myself than I ask them about themselves, which was always a good time. In the process of developing interview questions, there have been a few struggles through which I have learned a lot. This has been a first for me in so many ways. Its my first time doing fieldwork, and in general doing research in which I’m collecting my own data. The biggest struggle that I have faced has been with numbers. It is important that we are able to record how much each woman has been producing of the major crops, which are rice and wheat, as well as milk and vegetables, since a main objective of the project is for them to be able to improve their livelihoods through increased production and income. So, of course, on my first day, I asked questions like, "how much did you make this year from selling vegetables," or "how much did you make from selling milk," or "how much did you spend this year buying potatoes," to which nobody knew the answers. It is interesting because I then asked myself, well, if somebody were to ask me how much money I spent in a year on this or that, or how much I made from my job as compared to last year, I also wouldn’t have any clear idea either. I felt really silly, but I also didn’t know what to do. After some trial and error, I realized how much easier it is to recall something if someone asks you in terms of a daily basis (for example for milk production) or a monthly basis (for fodder), or in terms of one thing at a time (like production of one vegetable instead of all vegetables imaginable). It is interesting because sometimes I feel so disappointed that I am not able to get any of the data that would be helpful to the program. But then I change one word, and then it’s all good. It’s been so important to try to think outside the box as much as I can, and to ask myself if the questions even make sense to me before asking others! Though I think my interview questions will always be in the process of being improved, it is such a relief to be making progress on some things that seemed impossible not that long ago. I am also sooo thankful to Suraj, the son of the president of one of the Woman Farmer Groups, and to Uday, the nephew of one of the staff at CORD, who have been translating and making this project possible. At Penn, I am majoring in International Relations and minoring in Environmental Science. I'm in the class of 2016. 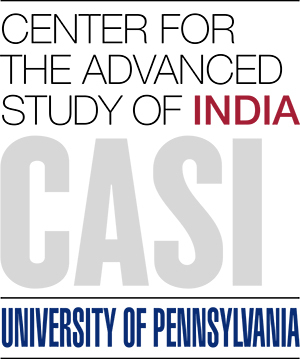 Through CASI, for the summer of 2015 I will be interning at Chinmaya Organization for Rural Development, in Sidhbari, Himachal Pradesh.